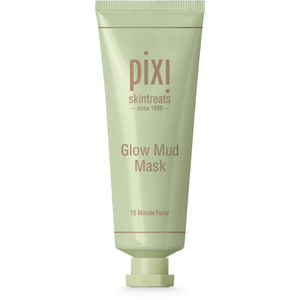 Deeply cleanse and gently exfoliate with the Glow Mud Cleanser from PIXI; an active yet gentle cleanser with 5% Glycolic Acid that reveals a glowing, healthy-looking complexion. The deep pore cleansing mud detoxifies pores and is enriched with Hyaluronic Acid, Aloe Vera and Avocado Oil, which help to plump and nourish the skin. Your skin is left feeling cleansed, hydrated and radiant. – E.W. Morning and evening, apply a coin size amount to damp skin. Massage gently for 30 seconds, avoiding eye area. Rinse clean & pat dry. 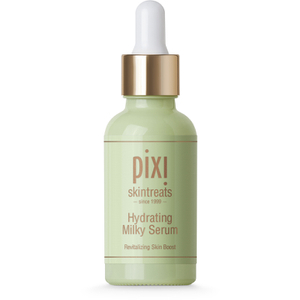 I have been using the Pixi Glow Mud Cleanser for just over a month now and love how it treats my oily t-zone. I have hormonal break outs and it treats them almost overnight! The mud consistency is a dream to put on and almost feels like a lightweight mask.